Added on August 1, 2013 by manon xhaard. Our most recent award has been as a finalist in November 2013 in the Local Foods Awards programme. In our category we were in the last three, but were pipped to the post by an urban bee-keeping and honey-producing enterprise. The judges spoke highly about our efforts, and we in turn have been appreciative of their grant. Sadly they are being discontinued under Government economies, so it was good that we had applied in time. Thank you again to all those involved. We hope to have a copy soon of the brief film they made in preparation for the Finals. Watch this space!! Each year the Leicestershire and Rutland Rural Community Council invite entries from their area to enter for awards. The Shop was nominated for two categories, the Community Achievement section and the Cleaner and Greener section. 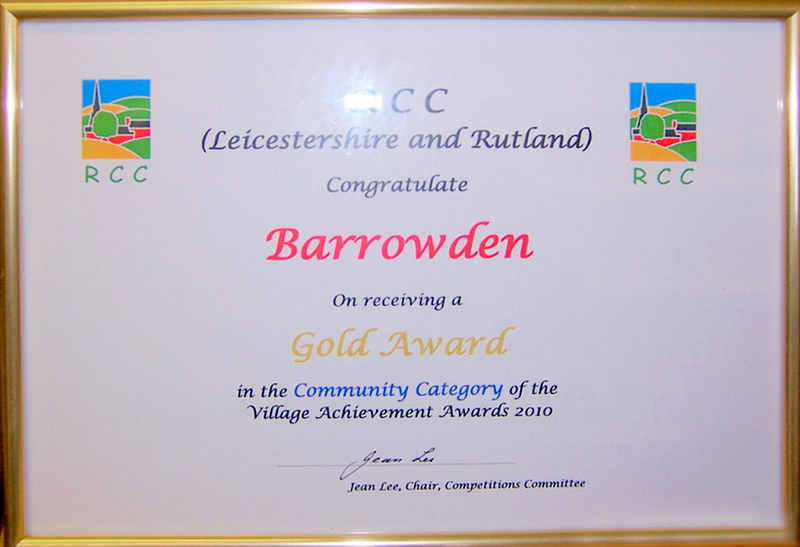 In 2010 we entered The Shop itself for the Community Achievement section and were delighted to be given a Gold Award. The focus in the Cleaner and Greener section was on the photo-voltaic solar panels and the garden. Our joy increased when it was announced that we had received a Silver Award in this section. If only the judges knew how close we were to not getting any panels at all! No one in this country manufactures them, in spite of all the noise about Climate Change and what we must do to reduce carbon emissions. The only manufacturers are in Germany, and the Government there have backed PV panels in a serious way, and this has led many of their neighbours to do the same. So PV panels are in very short supply. This might be why not much is said about encouraging their use. But they also need things called inverters. These too are very hard to come by. However, our suppliers managed to track some down, and they eventually arrived in Barrowden just days before the time limit which would have cancelled our Grant altogether. (No concessions offered for their unavailability!) Happily we just made it...... like so much else in the saga of our Shop! We are delighted to be using 21st century technology for a 21st century shop. Now we can generate our own electricity without drawing on the National Grid.